The duration of the Swachh Bharat Summer Internship Course is for 100 Hours (between 1st May to 31st July 2018) and registration for the summer internship opened on 25 April and will continue till 15 May 2018. Prime Minister Narendra Modi on Sunday urged students across the country to join the government’s “Swachh Bharat Summer” internship programme. “Exams are over. Students are now worried about what they should be doing during the vacations. I would urge the youngsters to join the government’s ‘Swachh Bharat Summer’ internship being organised by the three ministries — Sports, HRD (Human Resource Development) and Water,” the Prime Minister said in his monthly radio programme “Mann Ki Baat”. 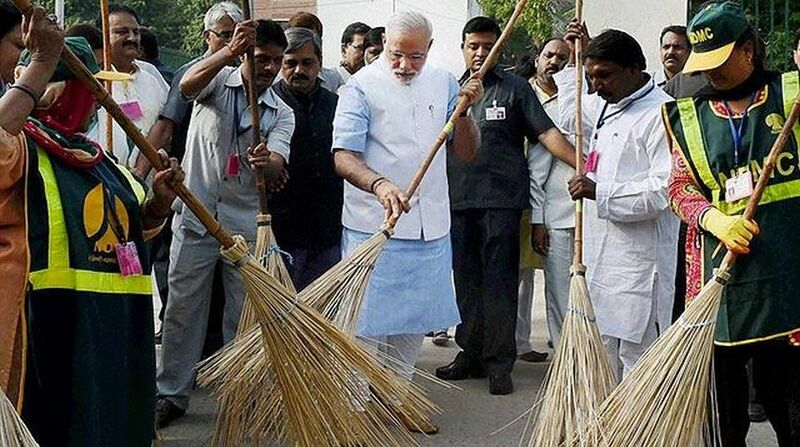 WHAT IS SWACHH BHARAT INTERNSHIP PROGRAMME AND HOW TO APPLY FOR IT? The internship programme has been launched to engage youth across the country and develop their skill and orientation for sanitation related work and village level development. The duration of the Swachh Bharat Summer Internship Course is for 100 Hours (between 1st May to 31st July 2018) and registration for the summer internship opened on 25 April and continue till 15 May 2018.
the 100 hour experiential internship program would require the candidate to visit one or more villages and conduct activities of their choice to contribute to the cause of rural sanitation in India. Students enrolled in Colleges/ Universities (referred to as “parent institution”) may apply through the enrolment form. Candidates to enroll for the internship through the website. Candidates will be accepted as valid only once approved by the Nodal Officer at the Parent Institution. Upon registering, candidates will be accepted for the internship programme only once approved by the Nodal Officer at the parent institution. Logistics for the internship would be facilitated between the interns and parent institutions. The team size (maximum limit of 10 members) and location of internship may be decided in consultation with Nodal Officers. Responsibility for safety and security of the interns during village visits lies with the parent institution, hence the location should be chosen appropriately and liaison done with local administration wherever necessary. Online reports submitted within 15 days of completion of the internship may be considered. The report submitted by the candidate shall be reviewed and approved by the Nodal Officer for the purpose of certification and rewards. The selection of awardees will be done by the competent authority appointed by the MHRD at each level. The decision of the competent authority will be final.